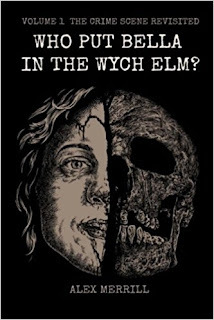 Who Put Bella in the Wych Elm - Volume 1 - The Crime Scene Revisited. Alex Merrill. CreateSpace Independent Publishing Platform, 2018. Well, this was a surprise! 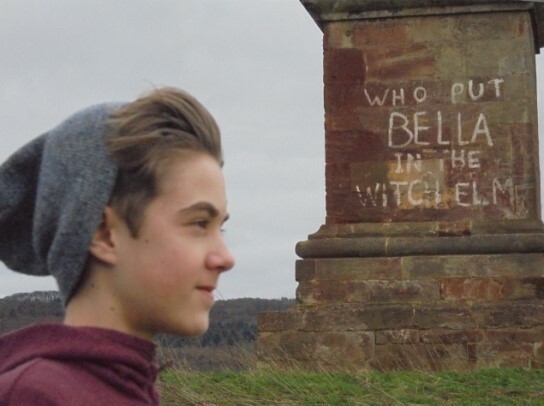 A 16 year old from Halesown, Alex Merrill, has written a book on Bella in the Wych Elm. It came out on Friday, February 23, 2018 and I snapped up an ebook off of Amazon. You might wonder what a teenager could possibly contribute to the Bella investigation but... he actually does a pretty good job. Alex starts with a preparatory chapter in which he proposes to "shake the kaleidoscope", a rather intriguing visual image. In researching the case, Alex began to question the direction of the original police investigation. Perhaps there was another version to the crime scene story? Alex admits that "offering a different version of events will be challenging, controversial and will leave me open to the possibility of ridicule". But sometimes, a fresh, questioning mind is exactly what is required. My understanding is that Alex is publishing two volumes on the Bella case. In this first volume, he examines the early stages of the investigation: the discovery of the body, the location of the tree, the forensic scientists and the actual skeleton and clothing/shoes found in and near the tree. Finally, Alex presents a facial reconstruction of the skull, provided by Professor Caroline Wilkinson (from Face Lab at Liverpool John Moores University). There are many news and blog articles being published on the internet about Bella but most of them just recycle the same old stories, often replete with the same old inaccuracies. They move nothing forward, and actually muddy the waters even further. Alex, on the other hand, has actually tried to move the investigation forward. He is one of the few who has noticed that the widely distributed photograph of the wych elm may not be the actual tree in which the skeleton was found. That photograph was published in the Express and Star newspaper on Friday 20 November, 1953, as part of an article by "Quaestor" (Lt. Col. Wilfred Byford-Jones). The actual crime scene photographs feature a different tree, and Alex is quick to point this out. Alex also provides several maps (Ordnance Survey) upon which he tries to identify the various possible locations of the tree, based on witness and police statements. These statements include distances in paces, yards, feet, etc. which makes the exact location of the tree a bit of a mystery. There does, however, appear to be a convergence of data that points to the southeastern corner of Hagley Wood as being the most likely location. The maps, in and of themselves, are a great step forward. He also goes to some lengths to document the actual opening in the wych elm, even going so far as to provide a drawing of the opening and how a woman sitting in the hollow would have appeared. It would definitely have been a tight squeeze. While the forensic report concluded that "Bella" was placed in the hollow tree prior to rigor mortis setting in, Alex is taking a different tack. Given the narrow opening in the tree, Alex wonders if perhaps the body could have been introduced post rigour mortis. He also questions whether the shoes found near the scene actually belonged to the skeleton. The very fact that Alex has pored over the police documents and shared some of the details of the case also moves the whole investigation forward. I found the book to be quite intriguing. Alex has done some great background research and his initiative in getting a facial reconstruction from the skull photographs is admirable. The one thing that stands out as being up for discussion is his assumption that the placement of the upper central incisors is accurate. Dr. Webster, in his forensic report, made no mention of crooked central incisors in the upper jaw, only saying that they protruded a bit more than normal. My own sense would be that the crooked left central incisor was loose and unfortunately photographed for posterity in that position. Another photograph of the skull has the upper right central incisor missing. The reconstructed skeleton photograph actually shows both central incisors missing, so it would seem that a poor reinsertion of those two teeth into the upper jaw is likely. Unless, of course, we conclude that Dr Webster neglected to mention such a gross irregularity in the upper jaw, whilst focusing on a minor irregularity in the lower jaw. Alex stated that he wanted to " 'shake the kaleidoscope', to add a new perspective and to shed light on other possibilities". I think he has definitely achieved that. 4.5 out of 5 - a well-researched and helpful contribution to the Bella investigation. I have been to Hagley Wood on a hike up the Clent Hills. From McCormick's book, I got the number of yards from the Hagley Road, and the number of yards into the woods from the path. I doubt that McCormicks numbers were accurate, since he was writing decades later. I wish this new book had been available before I went. Thanks Kevin, I agree - I don't think McCormick was all that accurate! The Merrill's book seems to be a different thing altogether.